Colson is a nineteen-year-old noise musician who has managed to get by on his wits, despite his awkward, bony frame and freakishly crooked teeth. 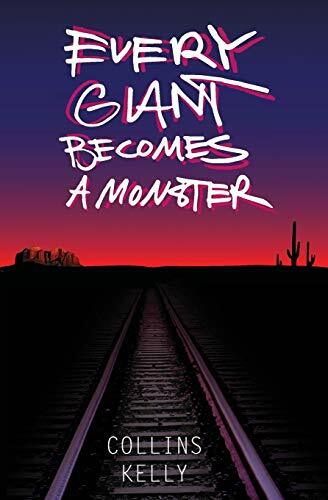 The rails lead him to a city in the desert where he meets a bartender, Donna, whose small turn of kindness sparks an obsession in the young man. She likes him too, but there’s a problem: she’s married to Travis, a former Marine with a proclivity for drugs and violence. Travis and Colson form a bond through music, but their friendship is shattered when Colson’s true intentions are revealed. CAUTION: This book depicts realistic scenes of drug use, violence, and sexual situations that may not be appropriate for sensitive readers.